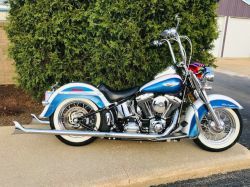 Select a category below to see the various custom bikes, snowmobiles (restorations) and ATVs we've done for our customers. 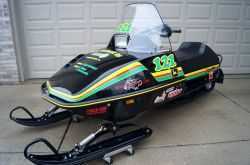 1977 Arctic Cat Kitty Cat full restoration brought back to life. There is nothing too old or too new, we can restore it all! 1978 John Deere Liquifire Vintage Cross Country Racer. Nothing runs like a DEERE! 1983 Honda CB1100F with a complete frame restoration with many tasteful performance mod's. This 2006 Harley Davidson StreetBob has been customized to the Jax Teller motorcycle. 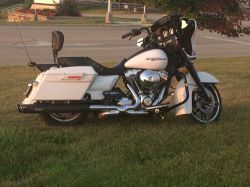 This 2010 Harley Davidson Road Glide has been customized and performance enhanced. 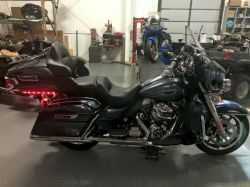 This 2011 Harley Davidson Street Glide has been customized and performance enhanced within it's primary. This 2017 Milwaukee 8 is customization at it's finest! 73 John Deere 500 KEC 440 motor completely rebuilt and restored to like new condition. Nothing runs like a DEERE!